Los Angeles police confirmed Friday morning a knife was found on the former Brentwood property of O.J. Simpson and said they are investigating a report that it was discovered years ago by a construction worker who handed it over to authorities. A report, published Friday by TMZ and citing unidentified law enforcement sources, said a construction worker found a knife several years ago buried on the perimeter of the former Simpson home and gave it to a police officer working security for a nearby film shoot. 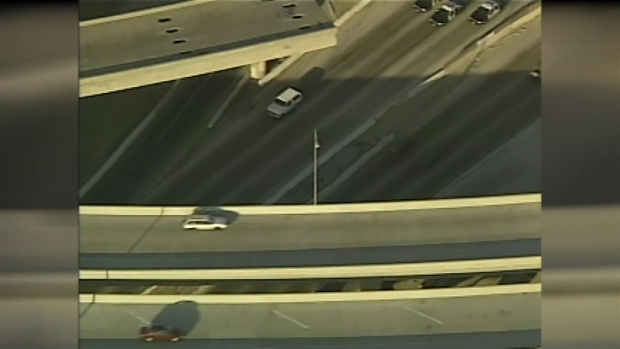 On June 17, 1994, an apparently suicidal Orenthal "OJ" Simpson and his friend Al Cowlings led police on a 60-mile slow-speed car chase through Los Angeles and Orange Counties, captivating viewers glued to television sets. Simpson had failed to surrender to police earlier in the day, when he was slated to be charged in the murders of his ex-wife and her male friend. 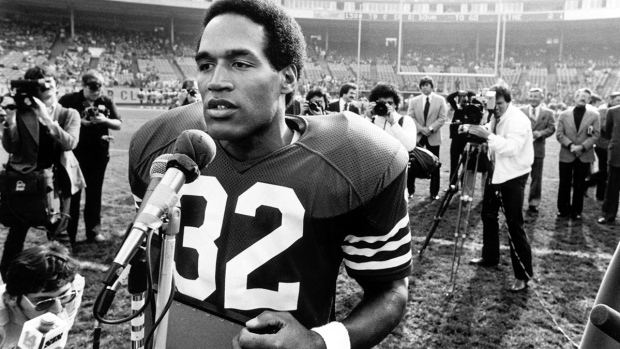 As police closed down the freeways and 20 cruisers followed Simpson, spectators filled the freeway overpasses, many cheering him on with signs reading "Go O.J." The officer, now retired, was recently ordered to surrender the knife for testing by authorities after he contacted a friend at the department for information about the 1994 murder case for which Simpson stood trial, according to the report. 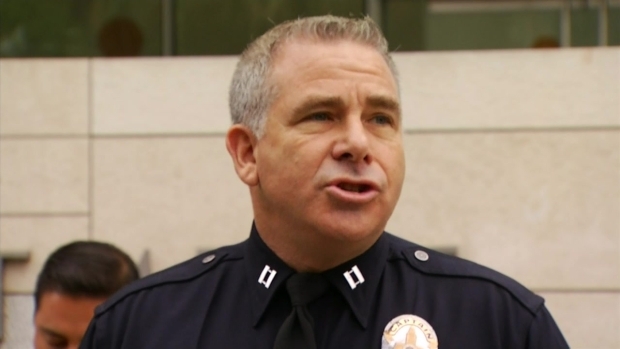 LAPD Capt. Andrew Neiman told NBC4 Friday morning that police are investigating the report. The mansion on Rockingham Avenue in Brentwood, where Simpson lived when his ex-wife and her friend were stabbed to death in June 1994, was demolished by a new owner in 1998. TMZ reported, citing law enforcement sources, that the knife was found sometime from "several years ago to 1998." "We still don't know if that's an accurate account," Neiman said. Neiman confirmed at a Friday morning news conference that an individual identified by the officer as a construction worker gave the knife to him when he was working security at a film shoot near the former Simpson estate. The officer retired in the late 1990s, but it's not clear whether the officer was retired at the time the knife was found, Neiman said. 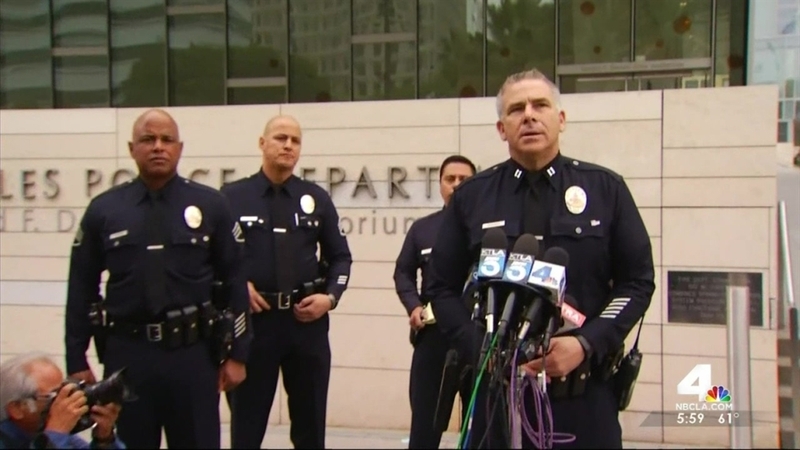 "If this story is accurate, I would think an LAPD officer would know that anytime you come into contact with evidence you should submit that to investigators," Neiman said. The officer will likely not face administrative charges because he is retired, Neiman said, adding that an investigation will determine whether criminal charges are possible. Police became aware of the knife within the last month, but authorities did not discuss details about how they obtained the item. It has been submitted to an LAPD forensics team for examination. It was not clear to whom the knife belonged and authorities are attempting to determine the identity of the individual who turned it over to the officer, Neiman said. 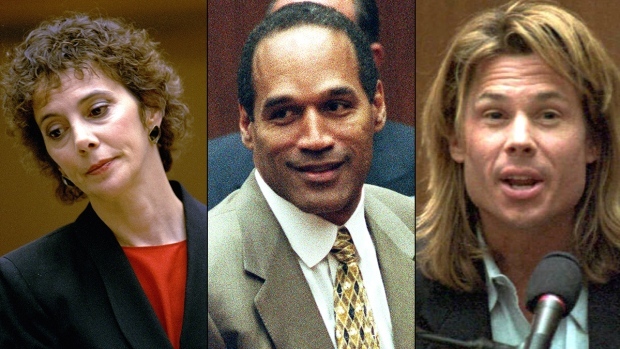 "With all cases that remain open, unless there's an actual arrest or conviction to prove we've actually closed the case, the case remains open," Neiman said of the killings of Nicole Brown Simpson and Ron Goldman. Neiman did not provide a description of the knife at the Friday news conference, but multiple law enforcement sources familiar with the investigation told NBC News that the knife undergoing tests is a relatively inexpensive, smaller-bladed utility blade typically used by construction workers, gardeners, landscapers or other laborers. The murder weapon in the case has remained a mystery. A 15-inch retractable-blade knife that Simpson bought at Ross Cutlery in downtown Los Angeles drew the interest of murder trial prosecutors, but the defense presented the knife in a preliminary hearing. Tests later showed the knife in pristine condition with no signs it had been used in the double killing. In 1998, a residential construction crew found a folding-blade knife in Simpson's former neighborhood but police said there was no evidence to show it was related to any crime. The mansion, where Simpson married Brown in 1985, was one of the landmarks of the murder trial. 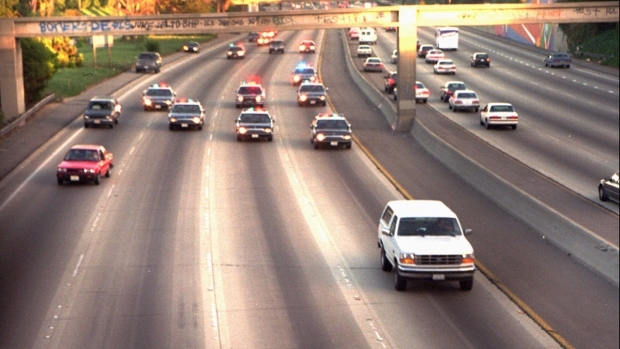 The infamous white Ford Bronco pursuit from Orange County ended in the mansion's driveway. It's also where Det. Mark Fuhrman said he found a bloody glove during the investigation into the slayings of Brown and Goldman. Simpson was forced to sell the Rockingham Avenue estate to comply with requirements of the civil court judgment after the criminal trial. An investment banker hired a demolition crew to raze the house and clear the way for a new mansion four years later. "It's not my house and I could care less," Simpson told The Associated Press in a telephone interview at the time the house was demolished. "I am a sentimental guy, but there's things you've got to compartmentalize." The former NFL and USC football star was acquitted of murder in the slayings of ex-wife and Goldman, but a civil jury found him liable. In September 2007, Simpson was arrested in Las Vegas and charged with several felonies after an armed robbery and kidnapping at a hotel in an attempt to recover sports memorabilia. He was sentenced to 33 years in prison. No matter what is determined through the knife investigation, Simpson cannot be tried again in the Brown-Goldman murders because of the Double Jeopardy Clause of the Fifth Amendment. Attorney Carl Douglas, a member of Simpson's legal team that secured the 1995 acquittal, said an investigation involving the knife would be a waste of time and money. "I am amazed at the latest frenzy surrounding this ridiculous frenzy about some knife found on OJ's former property," Douglas said. "As a proud citizen of Los Angeles, I will be offended if the Los Angeles Police Department spends one minute of city time or one dollar of the city's limited resources chasing this ridiculous, supposed lead. I hope there are other investigations more deserving of the city's resources than this failed attempt, now 22 years old. "OJ left the house two days after the murders and never returned until October 3rd, 1995. I certainly hope the LAPD used all of the resources then to scour every inch of his property looking for relevant evidence. It is pure fantasy to believe that there's anything relevant with this knife that has now been turned over. I'd rather talk about the Easter Bunny instead."